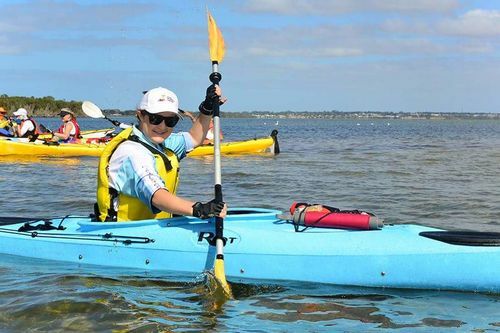 Access was pleased to sponsor our very own team to kayak in the Sale to Sea Disability Challenge in March this year! 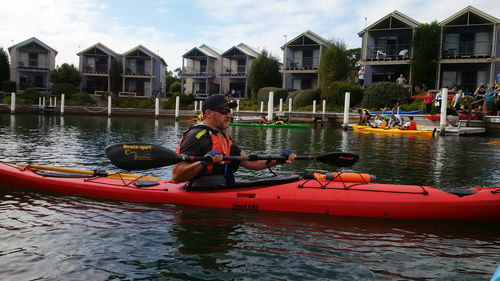 The Sale to Sea Disability Kayak Challenge was first started in 2009 by a group of individuals as an adventure to highlight victory over adversity and to promote a positive lifestyle. The challenge starts from the port of Sale and finishes at the sea at Lakes Entrance, at total of 120km. 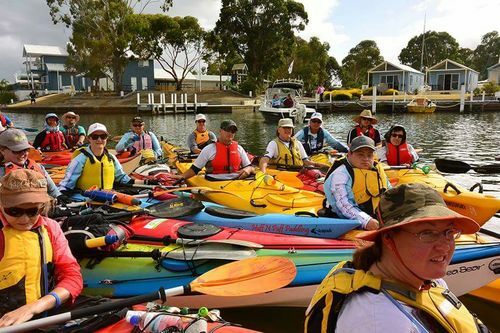 Funds raised from the challenge provide support to those within the East Gippsland community who have been affected by permanent or long term disability, in turn assisting them to attain an improved quality of life and independence. Braden, Chelsea, Erin & Nick all had the privilege of kayaking a day or two during the four day challenge. Together the ARE team kayaked a total of 122.82kilometres! Joining the challenge this year was Amanda ‘AJ’ Reynolds who won a silver medal in the 200m KL3 at the 2016 Rio Paralympics! 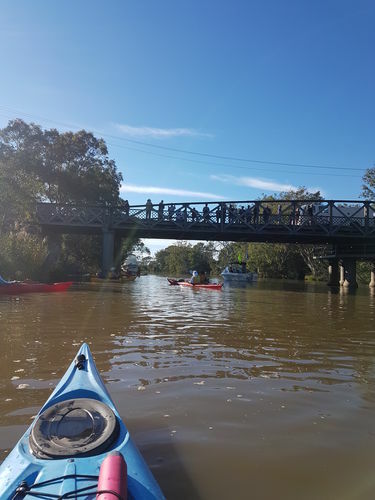 This was an incredible event to take part in and it was fantastic to see such a wide variety of people from various regions across the state come together to kayak. 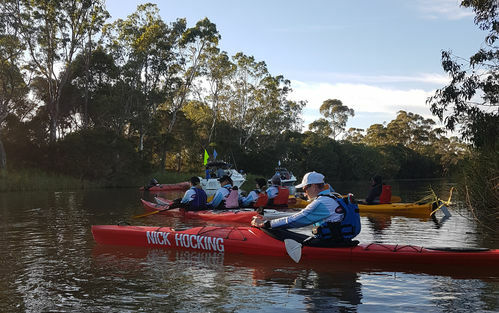 Some participants had clocked up hundreds of kayaking kilometres in practice for the challenge, while others used day one to prepare for day two, day two for day three and day three to prepare for day four! 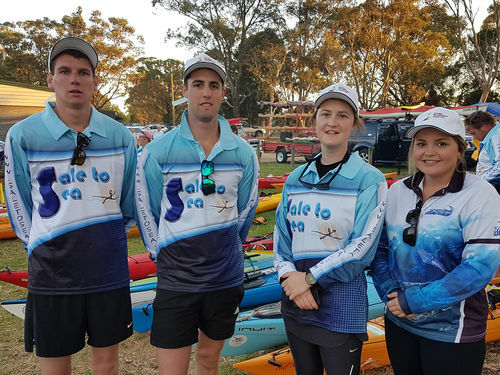 The virtues of the Sale to Sea challenge are “Adversity, Courage, Determination, Success” which were all clearly drawn out and at the fore throughout the event. It was uplifting to see everyone supporting and encouraging each other throughout the event, especially during times when the weather provided some tough challenges! Aching arms, chafed limbs and blistered hands were all minor to the feeling of success and achievement. Everyone who kayaked in the 2017 challenge took part in an event that many others wouldn’t dream of doing. A huge thank you goes to Andrew Bedggood and his amazing team of volunteers (of which there are numerous names!) for organising and making the event such a success! A large number of people sacrificed countless hours of their time to make sure everyone kayaking in the challenge was safe and had an enjoyable time. We are proud of our team for kayaking in the challenge, and share their sense of achievement for participating in such a great challenge. We look forward to the next Sale to Sea Disability Challenge!